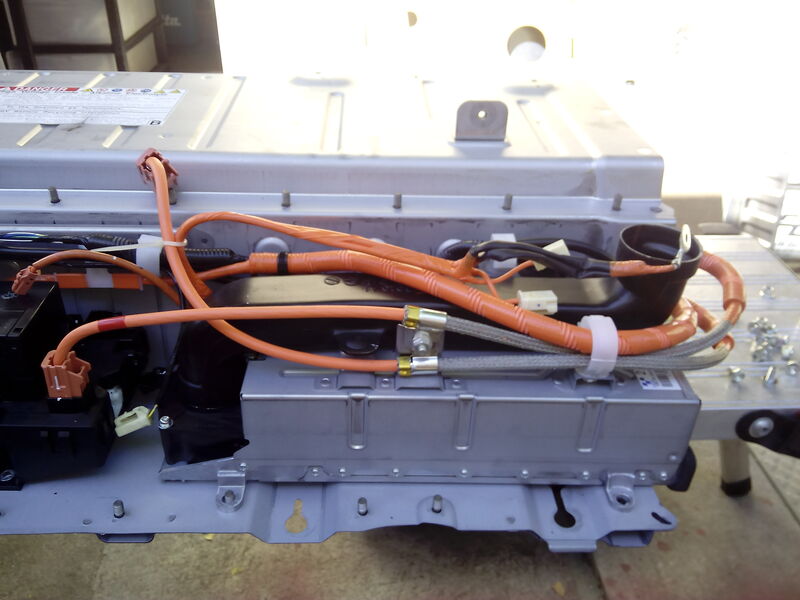 At Venice Hybrid Tech, we sell complete Hybrid Battery Packs for all hybrid vehicles: re-conditioned or re-built. The re-built packs are built with brand new cells and can be relatively expensive. These are are warranted for 3 years or 30,000 miles, whichever comes earlier. The re-conditioned packs are old packs which are brought up to almost new condition (each sleeve or sub-pack will have min of 5.5 – 6.5 Ah). These are warranted for 6 months or 3000 miles, which ever comes earlier. All packs are load tested and warranted. We also sell re-conditioned hybrid battery Modules / sticks, each 7.2 V for use in your car’s hybrid battery. These are ideal for replacing bad / dead cells in the hybrid battery packs, which can cause the whole pack to malfunction, or for fault codes to show up in your car Battery Management Systems. Each stick is re-conditioned to almost original condition and will have a minimum of 5.00 – 6.00 Ah capacity. These cells are all warranted to perform and are load tested before dispatch. We use a computerized Battery Analyzer System to test these cells and any weak or faulty cells are discarded. We have sticks for Honda Insight, Honda civic and Toyota Prius. Contact us for prices. 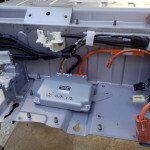 Since we repair and re-condition a lot of Hybrid cars and their batteries, we share here a few useful hints to help consumers and those in the repair business. 1. 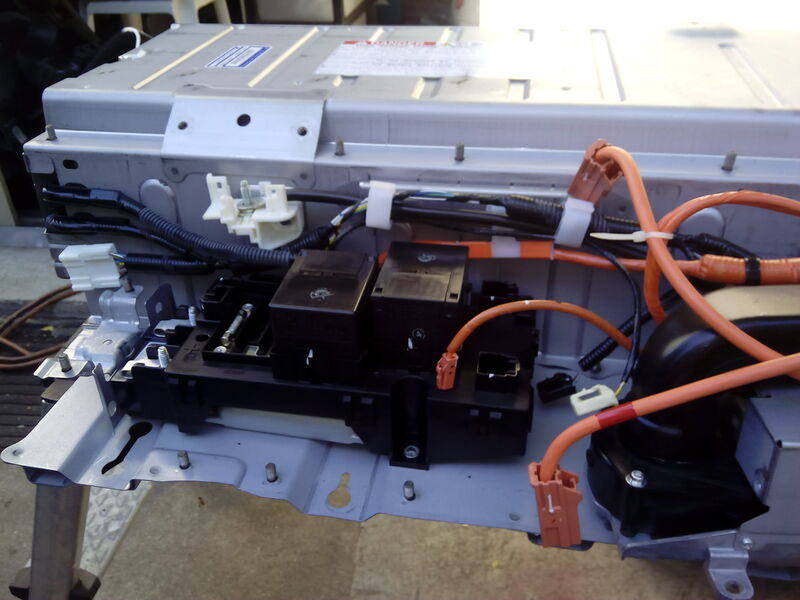 In most Hybrid Systems, the 12 V battery is very important part but it is also most neglected. Before doing anything else (in case you are having trouble with your Hybrid Car), first check your 12 V battery and make sure that it is in working condition and also fully charged. 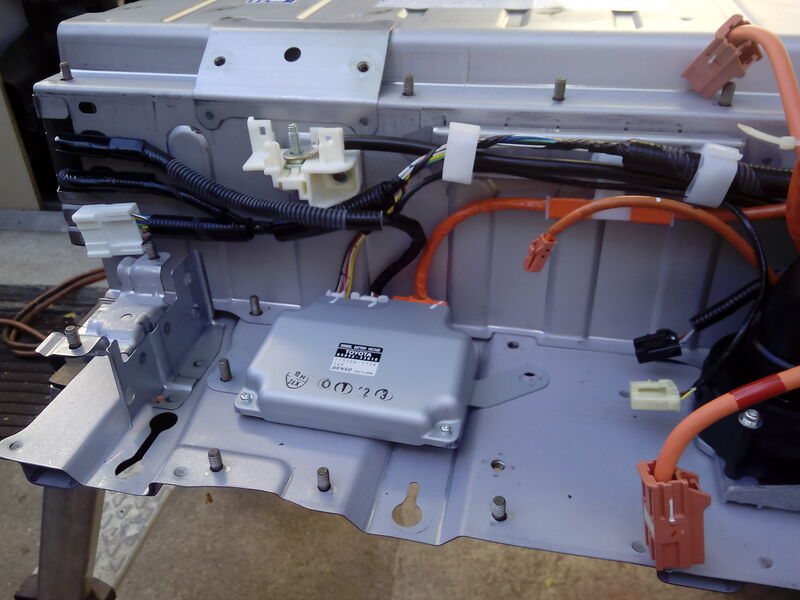 Most of the systems in the car are dependent on a good voltage supply from this 12 V battery. Most people think the hybrid battery will take care of everything. That is not the case. 2. The fault codes are not always what they say they are. In our experience, we have noticed that when the Hybrid System is weak or faulty, the car throws a lot of DTC’s. But the moment you fix the Hybrid Sytem, every thing works fine and all the other DTC’s also disappear. Please don’t waste your money on superfluous DTC’s. 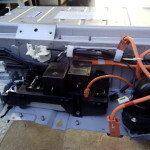 If there is a faulty hybrid battery, first fix that and then any thing else if at all. 3. If you can use a Gen III modules in place of gen II, then do it. Similarly, if you want to keep your Gen I Prius, then get all the cells upgraded to Gen II or Gen III. It is much better in the long run. 4. Do not waste your time and energy trying to revive bad / dead modules for Prius. Just replace those. 5. Do not sell your car just because the hybrid battery is faulty. Get it repaired or use a grid Charger, then set the battery right and sell it, if you want to. Our aim at Venice Hybrid Tech is to empower you and help you make calculated and informed decisions. On this page, we briefly discuss some popular Hybrid cars and their systems. Most manufacturers do not provide enough information, sometimes leaving them in the dark, allowing them to extract exorbitant prices for any defects or problems. We are always open to hearing from you, even if we don’t get your business. It is our job to stay in touch with problems facing Hybrid car consumers! One of the pioneer and first to introduce Hybrid Technology, Honda Insight Hybrid is still one of best systems available. It is simple and elegant technology, and because it is aluminum body it lasts longer. The Hybrid system consists of 20 sticks, each stick comprising of 6X “D” NiMH cells , with nominal cahrge of 1.2 V per cell. Thus giving it a nominal voltage of 144 V for the whole Pack. Each stick also has PTC strip for keeping track of Temperature of each cell. Hence each stick is measured for Voltage, temperature and Internal Resistance. If there is a significant difference between two sticks (i.e. beyond the tolerance level), then the IMA light and CEL will come on and the car will stop charging the 12 V battery. The car does not have a starter motor as the Hybrid Battery provides the required cranking for starting. So if the IMA light comes on, then the Hybrid Battery will not provide that cranking power. In which case the full load is borne by the 12 V battery. The good thing about this car is that you can safely keep driving the car without the Hybrid Battery. The only problem will be lower MPG but you need to make a modification to get your car system to keep charging your 12 V battery. One can look up on the internet how to do that. Here we show a few pictures of the Connector that is required to be removed from the BMS for achieving the required result. In our our opinion, the Grid charger is very effective. In most of the cases the Battery Pack is un-balanced and weak, but there are no sticks which are dead or need replacement. Moreover these sticks are easy to re-condition as these respond very well to charge and dis-charge cycles. If you can do 4-5 cycles, these almost recover their capacity to full charge. We have sold a lot of chargers for these cars without any come backs or complaints from customers. The Hybrid Battery Pack and sticks are the same as Honda Insight. The two packs are quite similar as these use the same sticks and same chemistry (NiMH). The Junction boards are different as are the location of Temperature sensors. HCH has a total of three sensors while Honda Insight has four. Hence the packs are not inter-changeable but you can use the same sticks in both the Packs. Similar to Honda insight, the HCH sticks are easy to re-condition and respond quite well if recycled 4-5 times. These can recover their lost capacity easily. The Grid Chargers are very suitable and successful in restoring their capacity and getting rid of IMA and CEL lights. One problem that we have experienced with HCH is the software, which may require to be upgraded in case you re-condition the Battery Packs. However if you use a Grid Charger, the software does not create any problem and hence the car behaves much better. Unlike Honda Insight, you can not keep driving the HCH with the IMA light ON. In fact, you should not as you are endangering not only your life but also the life of other people on the road. We highly recommend using a grid Charger as a very cheap alternative to expensive repairs. A word about Gen II HCH. Upto year 2005, what ever we discussed on top is true, but after year 2006, The HCH uses the sticks in pairs and also there are in total 11 pairs , thus making a total of 22 sticks. The nominal Voltage goes to 154.4 V.
The main problem with the repair of these HCH Cars is finding the spare sticks. These are very hard to find and also quite expensive. If one stick is faulty, you have to replace the pair. We have found that the grid chargers do a great job as owners do not have to look for re-conditioning their battery packs but instead can use a charger to maintain and repair their failing Battery Packs. It is advised that these owners do not wait till they start getting close to failures or when the IMA lights come on, but instead contact us as soon as possible to get a Charger. Better treat the patient before he dies or preventive maintenance is even better. The Accord Hybrid is similar to Honda Insight and HCH but, like the Gen II Honda Civic, it uses special sticks which are also in pairs. These are a little longer and thicker than the other two cars, and hence these are not inter-changeable. These sticks are also hard to find. The Grid charger has been very effective however. 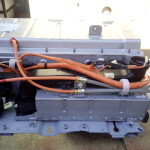 There are many people who face the IMA light and CEL light problems, and face the dilemma of whether they should sell the car as they cannot afford to buy re-conditioned battery packs. Fortunately for them, our Grid Chargers are very effective in these cars, thus saving them the trouble of getting rid of their cars at a throwaway prices. In fact we have seen a lot of people buy these cars cheaply and come to us to repair them, and get them back on the road. Toyota Motor Co. introduced its own Hybrid Technology, also called Synergy Drive, in 2001 as Prius Hybrid Cars. The chemistry is same as Honda (NiMH) but their Modules are totally different. Prius Gen I has a total of 38 modules at a Nominal Voltage of 7.2 V per Module. The battery Pack is huge and bulky but quite powerful. By now, most of these cars have quite old packs and hence there are a number of weak or dead modules in these packs. So we get a lot of requests for re-conditioning and also for Grid Chargers for these cars. The Grid Chargers are very effective but we always advise our clients to first check their battery packs and replace faulty or dead modules before using the grid charger. One thing we at Venice Hybrid Tech have observed is that these Battery Modules are not very responsive to re-conditioning. Hence when we find a faulty module, we just replace them instead wasting our time trying to revive them as these do not respond as well as Honda battery sticks. The Gen II Prius are a little lighter and have better battery packs. These have 28 Modules, same 7.2 V nominal voltage. These perform better and last longer. Also wth so many cars on the market, getting second hand modules is easier than Gen I. Like Gen I, we recommend replacing any bad modules instead of trying to revive them. The Grid Chargers are quite effective and a lot of customers use these. In case you are interested in repairing your hybrid battery packs, there are enough videos on YouTube. You may also contact us in case you need extra modules to replace the bad ones. The Grid charger will help during repair and re-conditioning work, since you will be able to charge the whole pack at the same time. The Camry Hybrid has almost the same system as the Prius except that its system is much more powerful. It has a total of 34 Modules. The main difference is in the control electronics which are placed on the side of the Battery pack, thus making it quite hard to open it up and get to the battery modules. Here are a few pictures showing the battery pack and its associated electronics. Nissan Altima: Has the same battery pack as the Toyota Camry Hybrid, including the electronics.